The circular was sent out by Adi and also appeared in the family letter sent out by Mani on the 1st of November 1968. 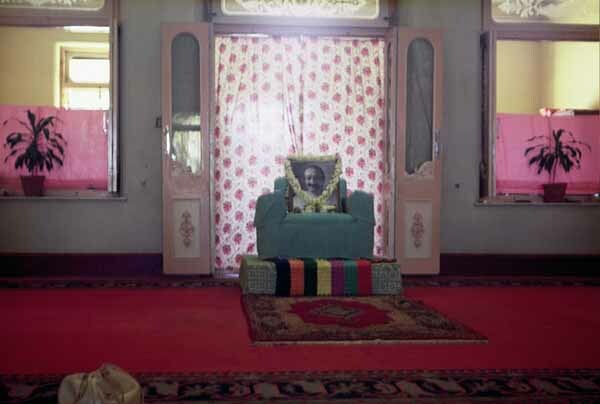 On the 13th October some local workers and a few from other places were called to Meherazad to hear this new circular (Life Circular No.70) informing Avatar Meher Baba’s lovers all over the world of His decision to give them His darshan next year from 10th April to 10th June in Poona. “No doubt you people and my lovers everywhere have been wondering why, when my period of intense Work in seclusion has finished, I still have not allowed my lovers to see me. “The strain of that 18 months’ Work was tremendous. I used to sit alone in my room for some hours each day while complete silence was imposed on the mandali and no one of them was permitted to enter the room, during those hours every day. The strain was not in the work itself although I was working on all planes on consciousness, but in keeping my link with the gross plane. To keep this link I had to continuously hammer my right thigh with my fist. 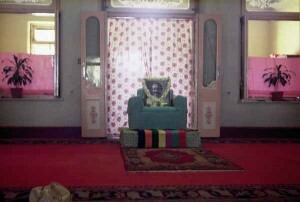 Now, although my health is good, and I would like to fulfil immediately the longing of my lovers to come to me- many to see me for the first time- it will yet take some time for all the traces of the strain to disappear and for me to be 100% fit to see them all; and so because of this, and for practical considerations also, I have decided to give my darshan only to my lovers but not to the general public. “This is the time for my lovers. The time for the world’s crowds to come to me will be when I break my Silence and Manifest my Divinity. The 1962 East-West Gathering was nothing compared with what this Gathering will be. For while I was working intensely in seclusion, my worker-lovers all over the world were intensely active telling the world about me, and my Message is spreading in many parts of the West now as a forest fire before a strong wind – as it had already done in many areas of India.